Peppermint essential oil. Oh how I love thee. I will wear it. I will smell it. But most yummy of all.. I will eat it. 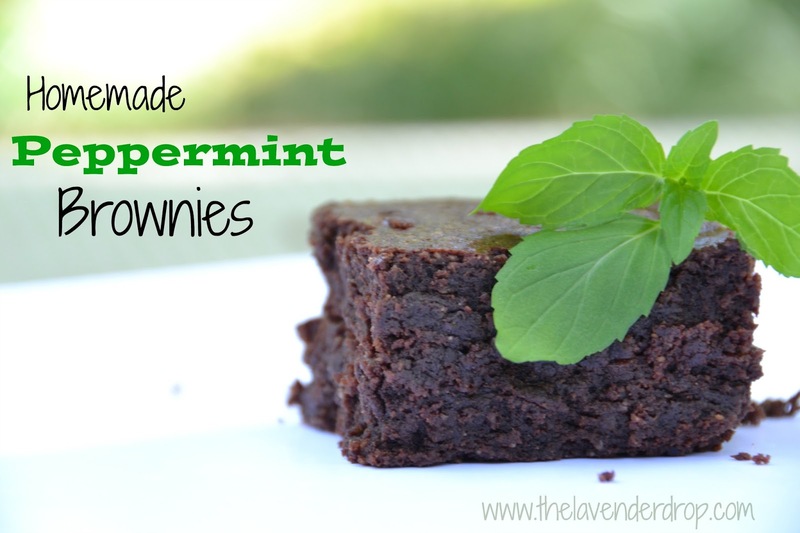 Peppermint is so easy to infuse into a baking dish for that delicious hint of mint. And best of all.. It doesn't take much!! This recipe calls for exactly 3 drops of Peppermint.. for the whole batch!! Directions: Pour into a 9 x 13 pan and bake at 350 degrees, for 25-30 min. Want another fabulous twist on this recipe that is much healthier?? I substituted the sugar, butter, and flour for healthier options, making this a not-so-much-cheat treat! I also had to double the essential oil drops to make the flavor more prominent. And just because I think you need to have the origin of where both of these recipes started, here is my from-scratch brownie recipe that I have been using for years. Unrefined coconut oil has the essence of coconut and adds just the right amount of flavor to this recipe. So there you have it! 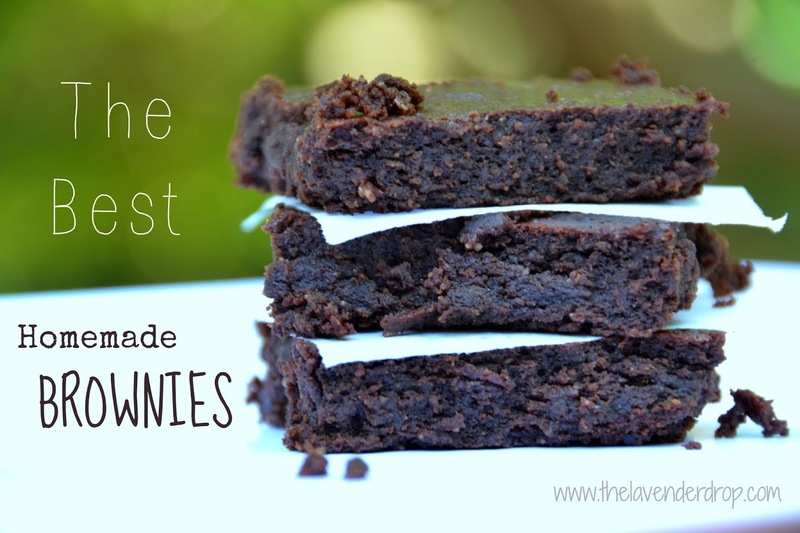 Three fabulous brownie recipes - all in one blog post! 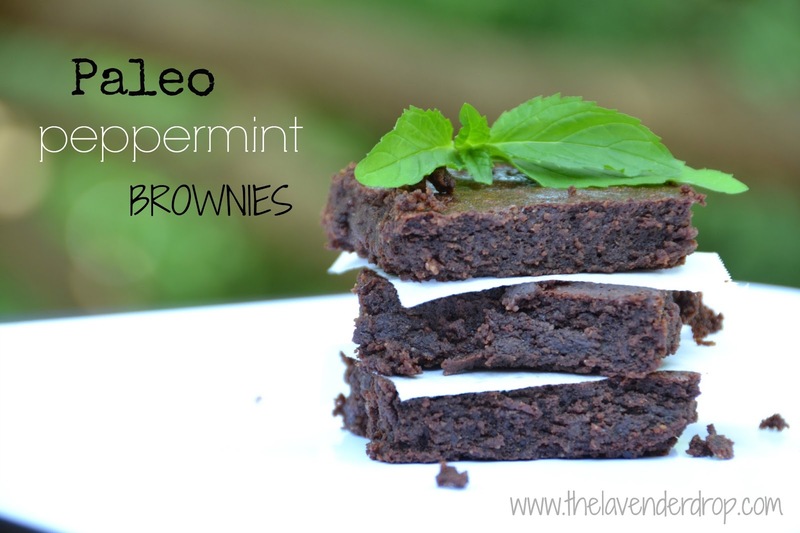 I cook these Peppermint Brownies for nearly every class I teach on essential oils, during the holidays, and just whenever I crave them!! And did I mention how fabulously they smell up your kitchen? OMG Don't hesitate! Put this on your menu list THIS WEEK! Just a word of caution.. Not all essential oils are meant to be consumed. Make sure you are using therapeutic grade essential oils! Want to know where to buy them? Click HERE. Want to learn more about why I choose Young Living as the best brand? Click HERE. Finally, this month, I'm participating in a blog circle with some amazing and beautiful women. Click on A Wink of Whimsey and see what is happening in Mossy's world. Hello my lavender droplets! 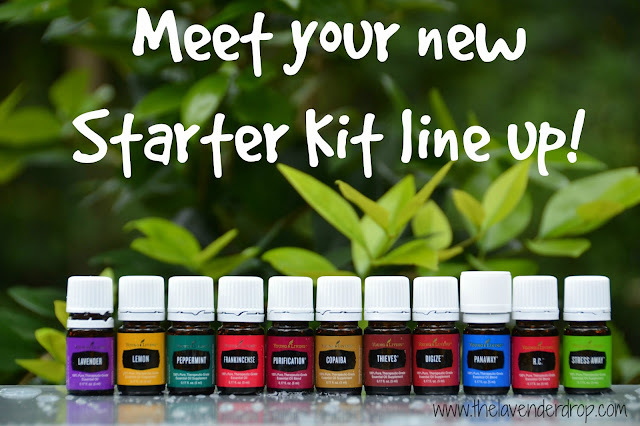 I'm super excited to announce the launch of the new Young Living Starter kit today! They have been working hard to change up the kit so that we receive the most useful and popular oils at the best deal possible!! If you are familiar with the previous starter kit, then you will notice that 3 of the oils have been replaced! The new oil is Copiaba and the 2 new blends are RC and Digize. Your choice of diffuser!!!! How fun!! Plus, I love the new sharing system. 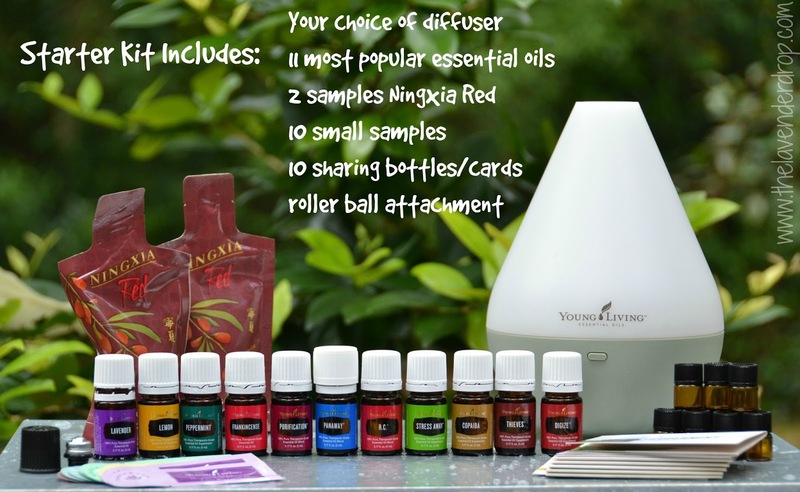 Not only do you have samples with 4 drops in each, but you also have sample bottles! This small bottles are perfect to pour essential oils in and share with your friends! Finally, in the event that Young Living should run out of any of the essential oils in the new Premium Starter Kit, they are introducing flex oils. The five flex oils selected are: lemongrass, orange, and tea tree essential oils, as well as AromaEase and Citrus Fresh blends. This new kit is now available for you to purchase. The price is $160 and is a FANTASTIC deal. Head over HERE to order yours today!! After a long, crazy day, there is nothing better than soaking in a tub to relax! The soak, all by itself, is fantastic, but add some scented bath salts and you've created a tub of relaxing health benefits! Our bodies tend to build up with chemicals and toxins that we have eaten, touched, or breathed. The occasional soak in a detoxing, relaxing bath is a great addition to a whole health lifestyle! Directions: Add ingredients to a mason jar and put on the lid. Shake ingredients until well blended. Transfer mixture into a glass container. 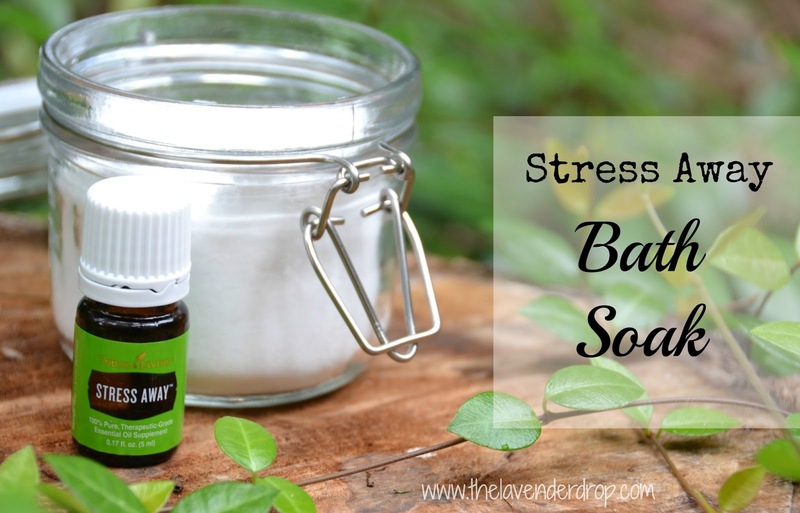 To use your bath soak, pour 1/2 of the mixture into a hot bath and relax! Epsom salt is fantastic for detoxing the body. It also contains magnesium and most often, our bodies are deficient! Check out this great article from Natural News. "Magnesium and sulfate are both readily absorbed through the skin and into the body's blood stream. The skin is a highly porous membrane that both takes in minerals and eliminates toxins every day. Using a powerful mineral base such as Epsom salts in a bathwater medium creates a process called reverse osmosis. This process pulls salt and harmful toxins out of the body and allows the magnesium and sulfates to enter into the body. Magnesium plays a critical role in over 325 enzymes, helps to improve muscle and nerve function, reduces inflammation and improves blood flow and oxygenation throughout the body. Sulfates are necessary building blocks for healthy joints, skin and nervous tissue. Epsom salts replenish the body's magnesium levels and sulfates. This combination helps to flush toxins from the body and helps build key protein molecules in the brain tissue and joints." Baking soda helps promote the removal of toxins in the body as well. It is beneficial in soothing irritated skin and neutralizing its acidity. 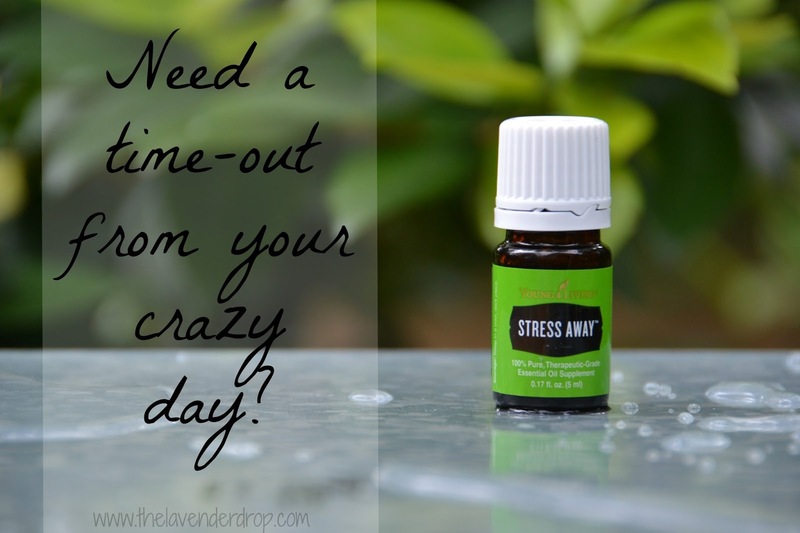 Stress Away essential oil blend contains copiaba, lime, cedarwood, vanilla, ocotea, and lavender. This innovative combination helps gently soothe away tension by promoting a relaxed feeling. Want to know where to buy Stress Away, click HERE. Happy summer!! June 1st is summer to me, whether or not my kiddos are out of school. ;) The sun makes me happy. Water makes me happy. Being outside under the green trees makes me happy. I love summertime! This is officially my first DIY post on the new blog. What better way to kick off summer than will that a fabulous scrub? 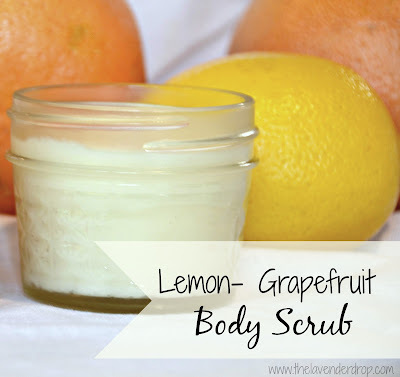 This scrub is super simple and costs way less than anything you would buy in the store. And the bonus? It moisturizes as well as exfoliates! 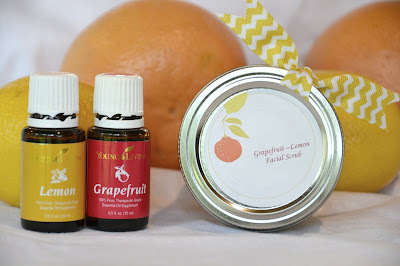 If you've never made a scrub before, you're in for a real treat! Step 1: Measure out the coconut oil in a glass bowl. If the oils is hard, melt it briefly in the microwave (10 seconds or so). Note: There are other options if you do not prefer coconut oil. Refined coconut oil does not have the strong smell. Jojoba, almond, and grapeseed oil are options as well. I use coconut oil because it is hard at room temperature, making it easier to apply. Step 2: Measure out the sugar and mix in with the oil until well combined, almost fluffy. 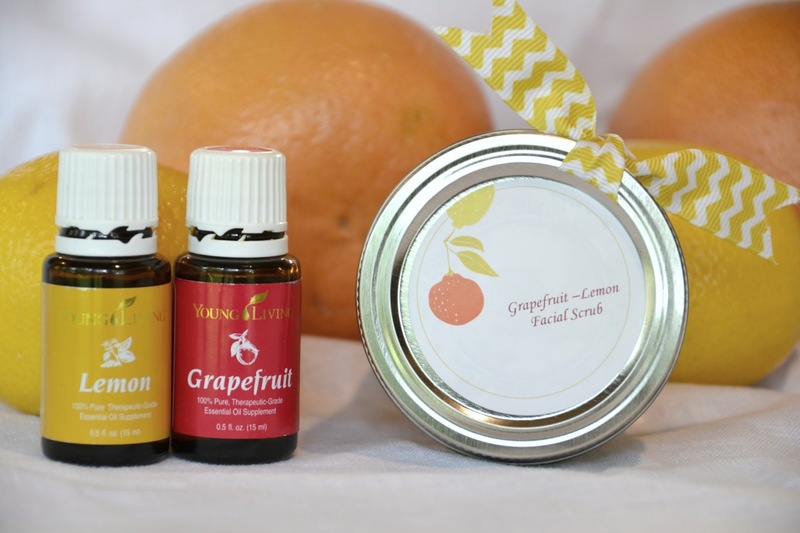 Step 3: Add your essential oils for a great citrus scent. Note: You can add in any essential oils you prefer, or even more or less depending on how strong you like the scent. However, please remember that not all essential oils are created equal. Make sure that the oils you use are pure and therapeutic grade. For more on this, click here. Step 4: Pour into a 4 oz. mason jar. To use your scrub, scoop out a tablespoon sized amount in your palm. Gently massage into skin and rinse with warm water until the sugar has been removed. The coconut oil will be absorbed within a minute or so and you will be left will glowing skin! Note: I have used this scrub on my hands, feet, arms, legs, and even on my face! This has replaced my expensive facial exfoliator and my skin is loving it. This month, I'm participating in a blog circle with some amazing and beautiful women. Click on The Roach Approach and see what Jennifer has to say this month.